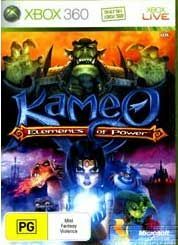 Released as the launch title in the US, Kameo hit our shelves along with Project Gotham Racing, DOA4 and Perfect Dark Zero. Shooters, racers and fighters were to be expected however this was the first action adventure game to hit the console and it certainly doesn’t fail to impress. This gorgeous, colourful title stars the young female elf named Kameo. She has the ability to change shape and is pretty damn brave considering you are to assault a castle from the get go filled with all sorts of nasties. Of course there wouldn’t be a story without a wicked sister, and of course Kameo is sporting one of those in the form of Kalus who is in cahoots with the king of the trolls, Thorn. Together they have Kameo’s family hostage and the whole enchanted kingdom is under threat. Yes it does sound like a fairy story doesn’t it! The title looks very cutesy and the graphics are simply lovely to look at with highly detailed environments that are sure to spellbind you. For such a small character, Kameo packs a lot of punch with her shape shifting abilities that can be executed with a simple button press that transforms her instantly into one of her alter forms that is bigger and badder than our fairy heroine. Attacks are handled with the trigger buttons which make it a pretty simple process to get through the game. Shape shifting looks great and comes in handy when you have to fight some of the big boys in the game. Each of the shape shifts actually takes a bit of getting used to but thanks to your handy talking book that guides you through any parts of the game that you have to learn, you are in safe hands. There are so many facets to the game that even though you are most likely thinking, “talking book? Bah!”, you will actually be glad that it is there with helpful tips and advice about the best way to control your powers and object and items around you. Along her travels, Kameo will have a number of battles with Shadow Trolls that litter the place. 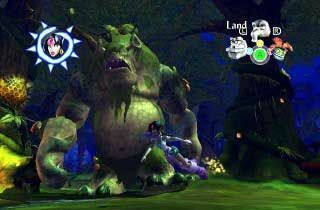 Each troll has a prisoner that Kameo has to try to rescue and you come across them as a natural progression of the game as you make your way through it. They are combat based and very rewarding to fight through in the various forms at your disposal. At the end of each area you will then have a major boss battle where the 360 nods it’s head and makes you very glad you made the purchase. The game has a RPG feeling to it in the way that you can upgrade your various shapes by finding special fruit during your adventure. These allow your forms to pack a lot more punch than they did during the game beforehand, and you can also combine some powers to unleash awesome attacks. There are about 10 creatures in all that you can become and they are easy to change into once you have the knack of it all. 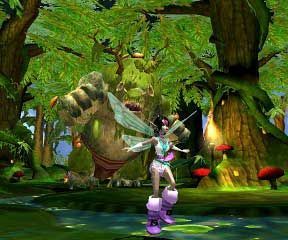 Kameo is a fantastic fairytale type adventure filled with lush environments, an engaging lead character, and fantastic creature with which to interact and battle. Real thought has been put into the creatures you can become, each with a distinct style of travel and attack. Each of these also has a personality of it’s own that lets you know that you have actually become another creature rather than just a Kameo with cool powers, though that also applies. For those of you with more than one gamer in the house, there is a multiplay option that lets two people have a go at the same time, though in a limited fashion through select parts of the game. It’s still nice that it is there though and the detail and framerate even with two players remains solid. I can happily recommend this title, it looks and plays great and is certainly worth taking the time out to explore.